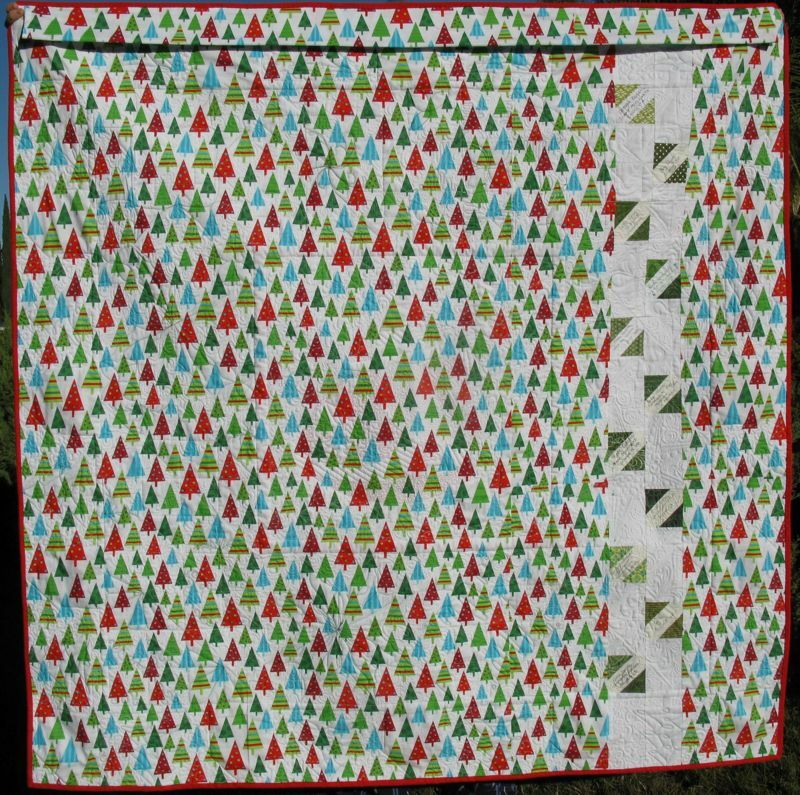 December | 2013 | OccasionalPiece--Quilt! Posted on December 24, 2013 by Elizabeth E.
Doesn’t Santa arrive on the 24th? 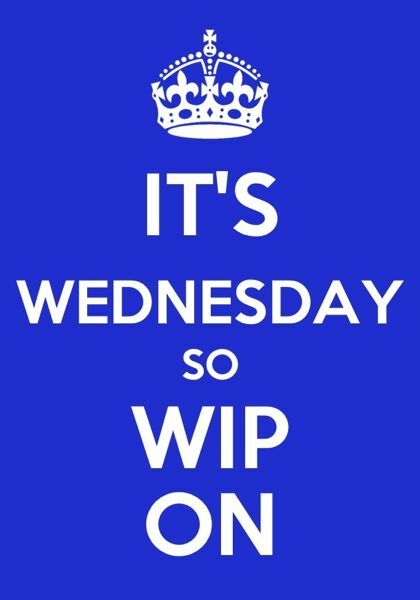 Well, we just made it in time, over here. I started this in late September of this year, and finished it early this morning. 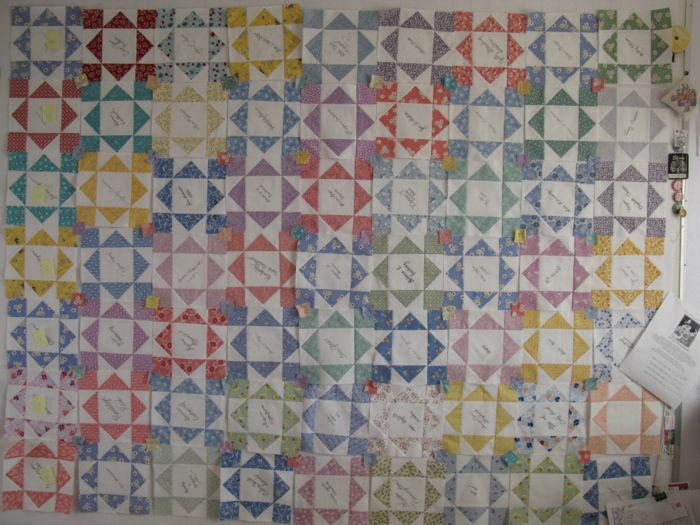 It’s done enough for display, but I want to go in after the rush is over and add some detail quilting here and there. Okay, and maybe re-do a square or two, but really, I’m pretty happy with how things turned out. The back, with my beemates’ signature blocks along one side. 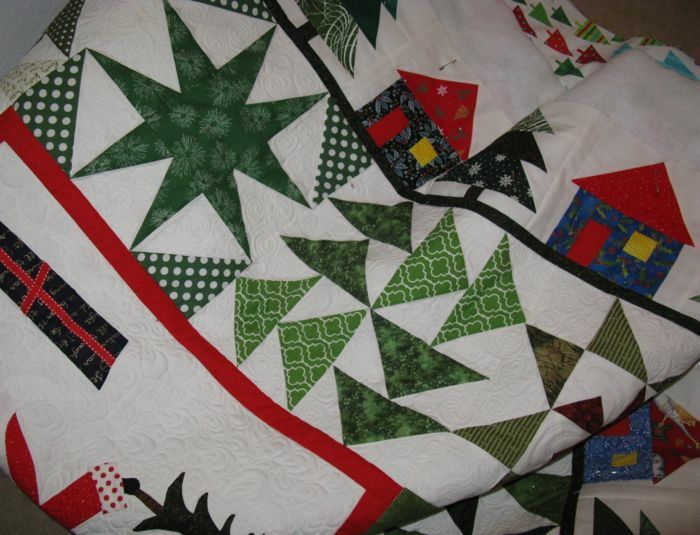 They made the green/white large patchwork blocks. 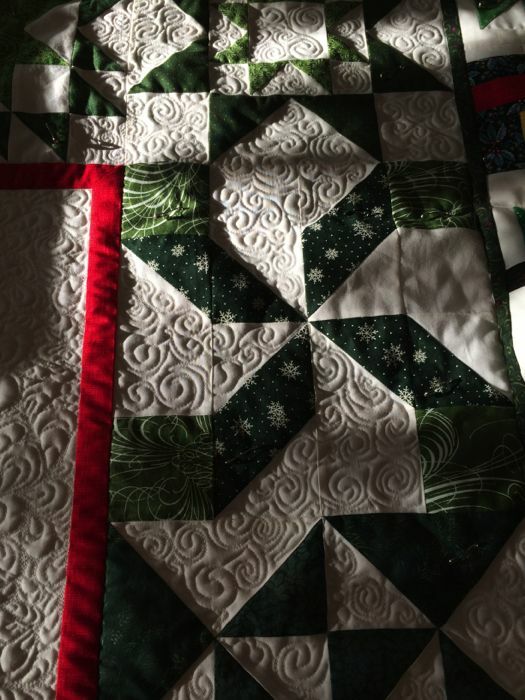 This shot, in the shade, shows some of the quilting. Each level is slightly different, and each block is different. 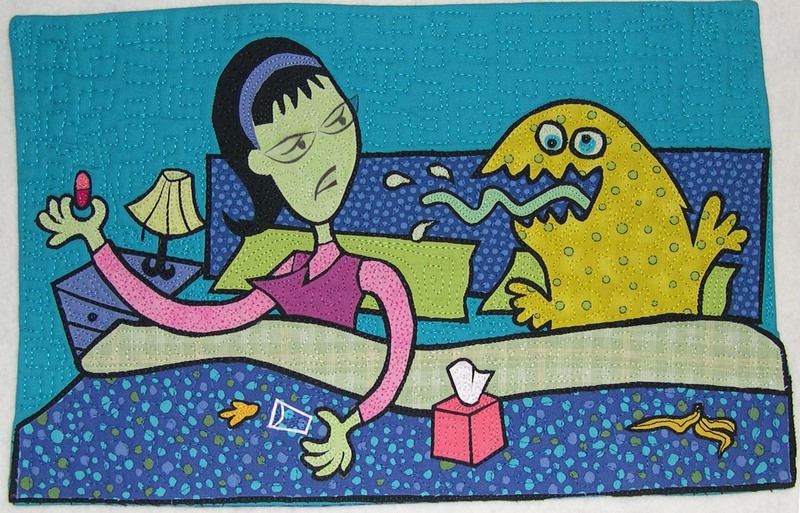 This is Quilt #125 on my 200 Quilts List. 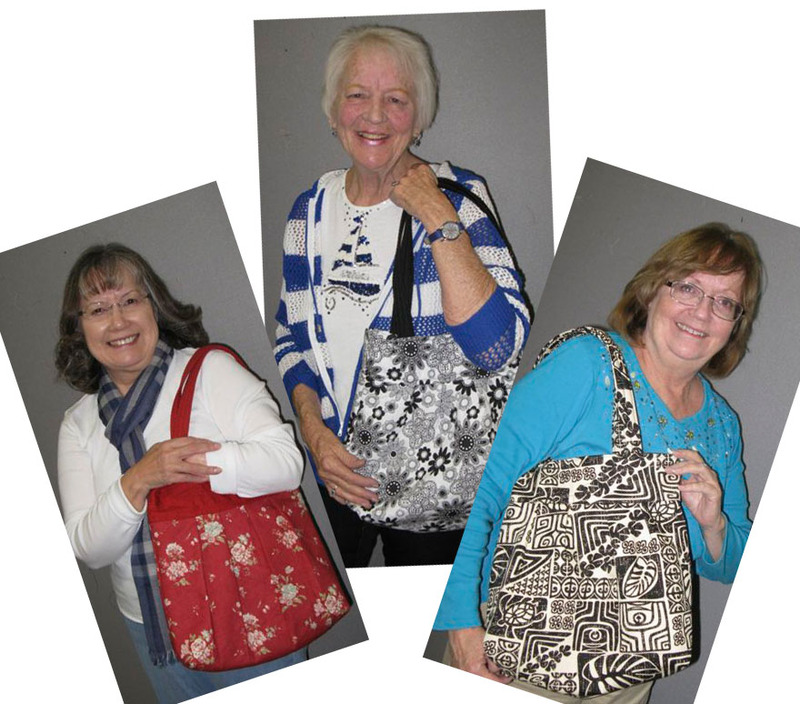 It’s also one of my Fourth Quarter FAL Finishes, hosted by Leanne, of She Can Quilt. Posted on December 15, 2013 by Elizabeth E.
Well. Almost the last week before Christmas (ten days to go, says the Advent Calendar on our fridge). Given that I’ve been >>sick<< with ick and asthma and blah for too long, and that I have TONS of stuff to do, I leapt into action and made my bee blocks for December for Mary at Molly Flanders. I mean, that is the prudent thing to do, right? 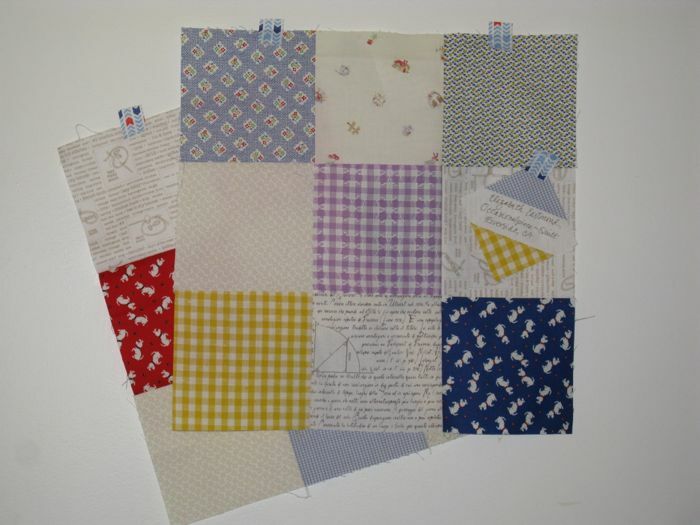 It was actually quite restorative working with old-fashioned prints and calming neutrals. A whole lot more fun than trying to get the last of the Christmas decorations up (but I did finish them today, thank you very much). I enjoyed the process. One thing that our bee does, which I like, is that we make each other a signature block with our name, our blog name and our location and send it along with the blocks. 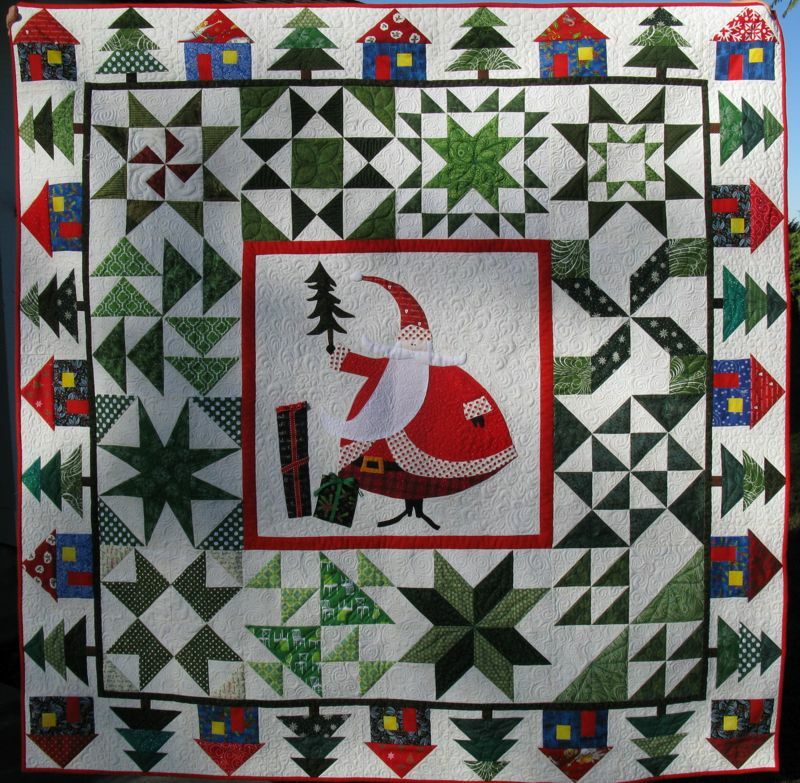 I have a row of signature blocks on the back of my Santa quilt (which has been idling all these past couple of weeks on my sewing room floor while I have graded and rested) which makes me smile when I see them. And maybe it’s because I have signatures on my brain. 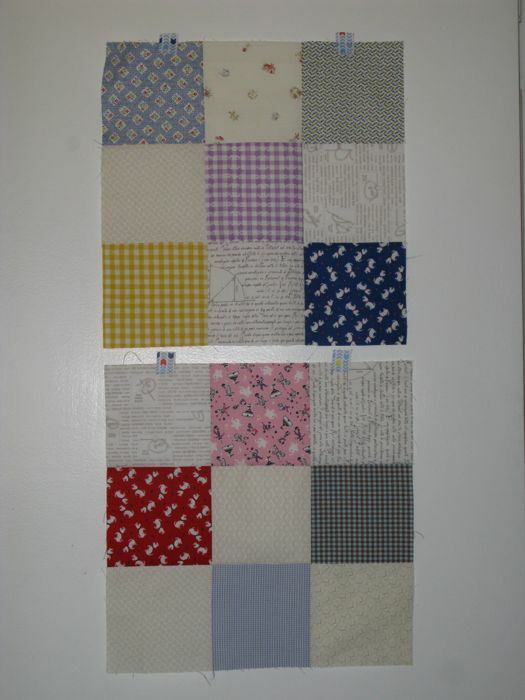 Here are all the blocks for my signature quilt put up on my pin wall. They lack the sashing and the borders, but what fun to see a flower garden of my friends! I had one more signature that I had to get, and I couldn’t just contact her and get it lickety-split (more on Toni in a later post). 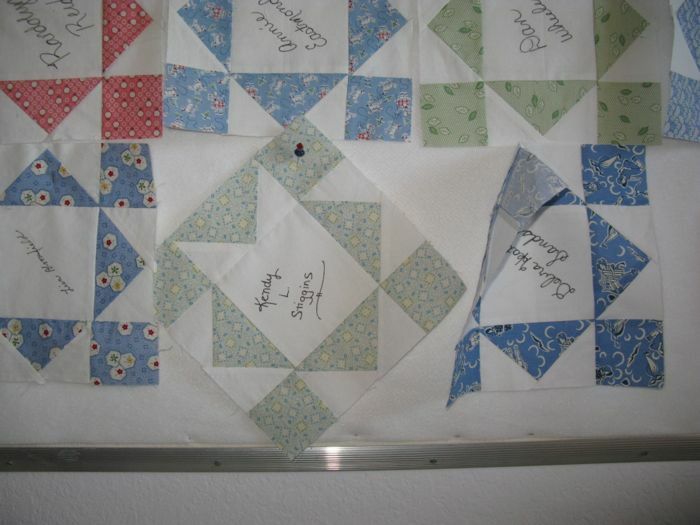 So I found her Christmas card from a few years back, enlarged her signature and traced it onto a prepared fabric square (a square of fabric that had freezer paper ironed to the back of it). 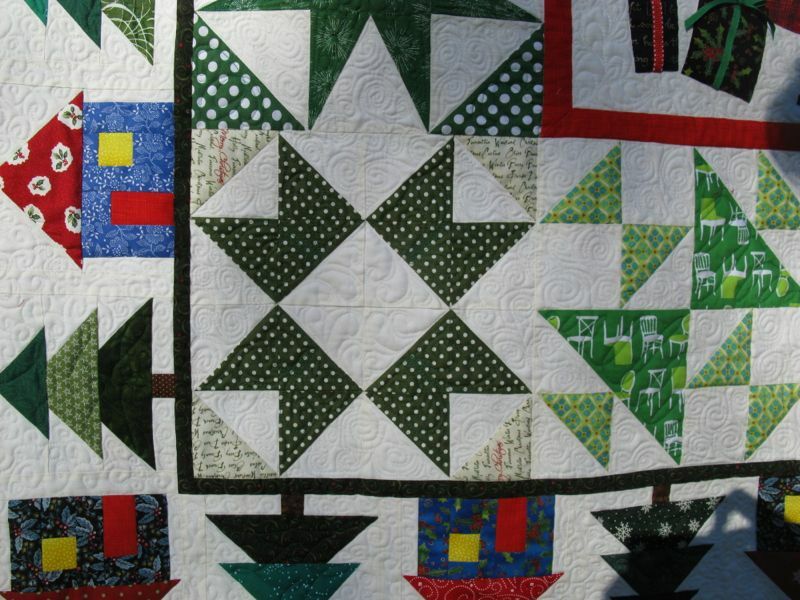 Toni’s square, all bordered in greens. She would be pleased. Often at Christmas, all the relatives gather, or we go to their houses. 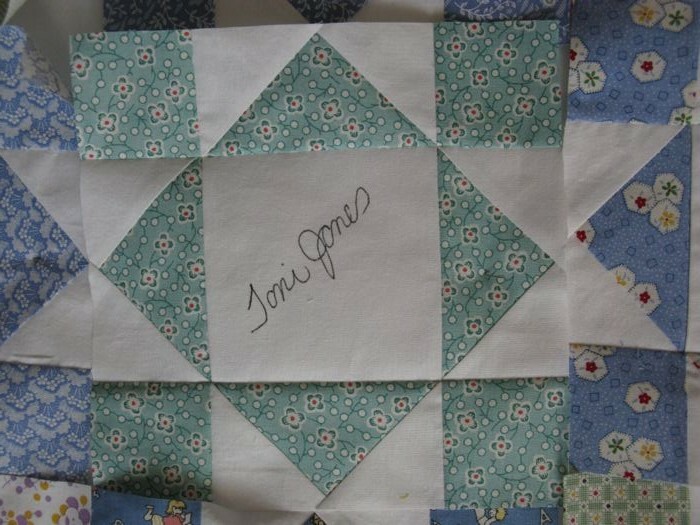 If you want to start a signature quilt, have a stack of squares ready for them to sign. 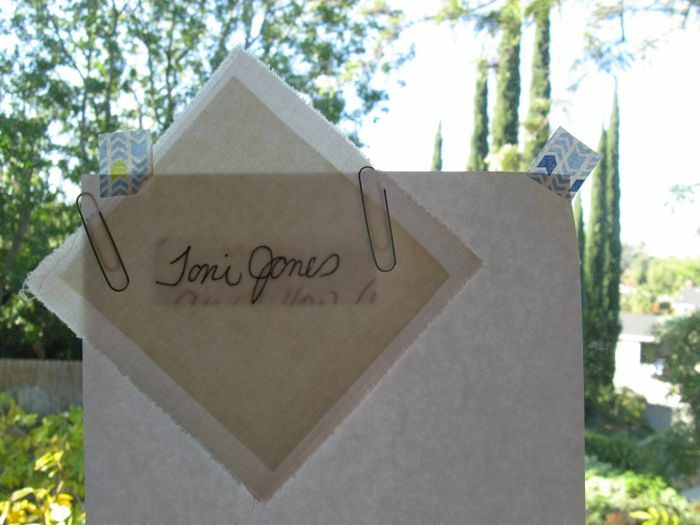 Choose a block with a wide open space for writing, and a simple frame for that signature. 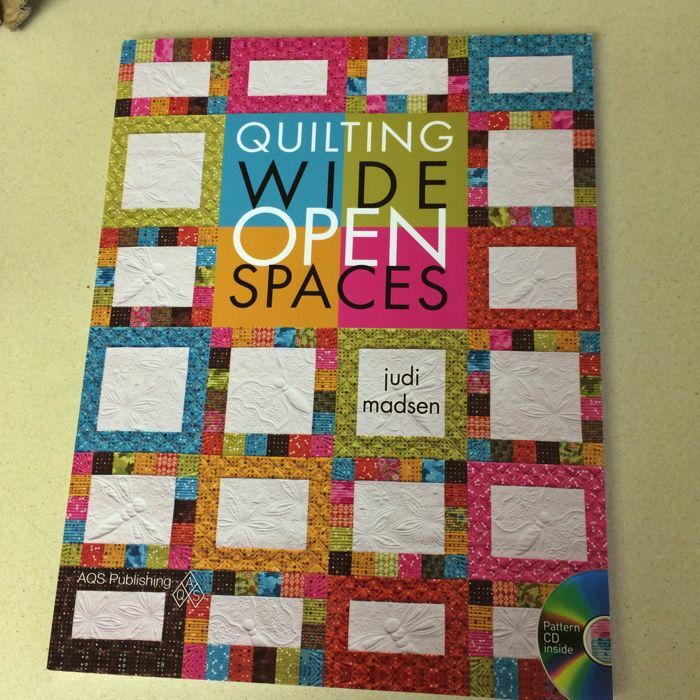 Then cut the center square about an inch larger than you’ll need it, back it with freezer paper. I drew the 4″ center square directly onto the freezer paper, so that it would show through and give people an idea of their boundaries. I used a Micron .05 pen for people to sign their names. Those who I couldn’t get (who lived too far away), I sent the block to them and had them write their name lightly, but legibly with pencil, and then I traced it in the Micron pen when it came back to me (I included a SASE so the blocks would come back). I only had one that never returned to me, but then that woman get could get her dander up quickly, and she carried a grudge longer than anyone I’ve ever seen. She was still wonderful to me, though, and I loved her. I’m sorry she didn’t return the square. Why did I start this? Because of Toni. 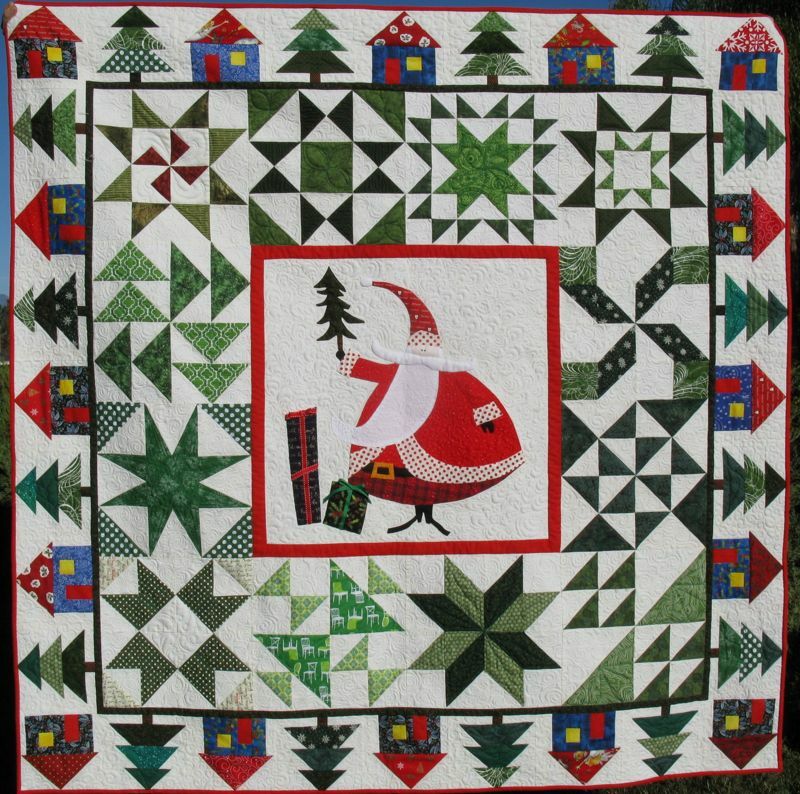 I’ll tell you more about Toni, and why she was the inspiration for this quilt in another post–probably after Christmas, after all the company’s gone home! Posted on December 4, 2013 by Elizabeth E.
Well, that tune is playing right now on the iTunes list, and it’s true–no presents yet. 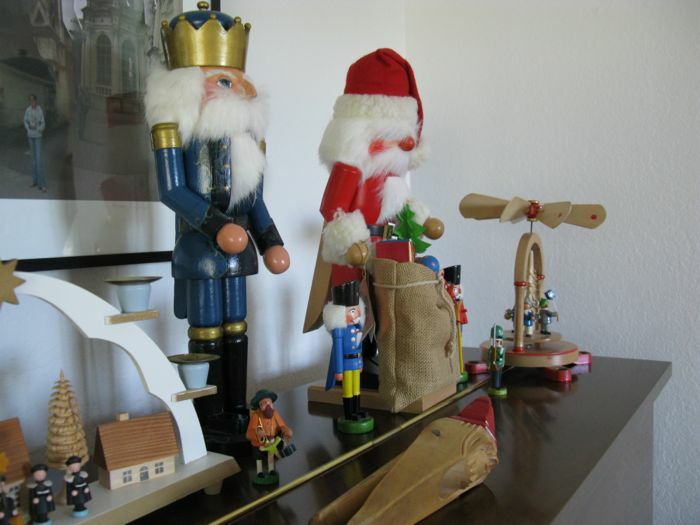 But we’ve started setting out my husband’s nutcracker collection, and pretending that Christmas isn’t 22 DAYS AWAY!! 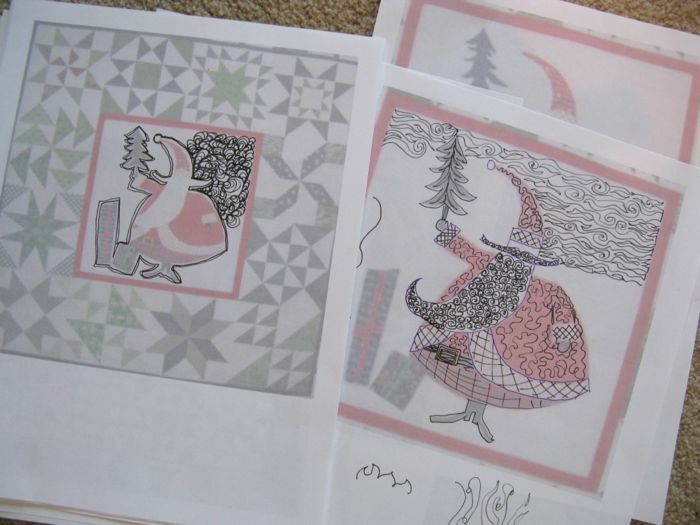 So in order to really tackle that list of Christmas jobs, I got right to work doodling some quilting ideas on my Santa Quilt mock-ups. I set the intensity to 50% and print them out, then doodle away. It’s my map, because I don’t feel uber-confident in the FMQ Skills Department. 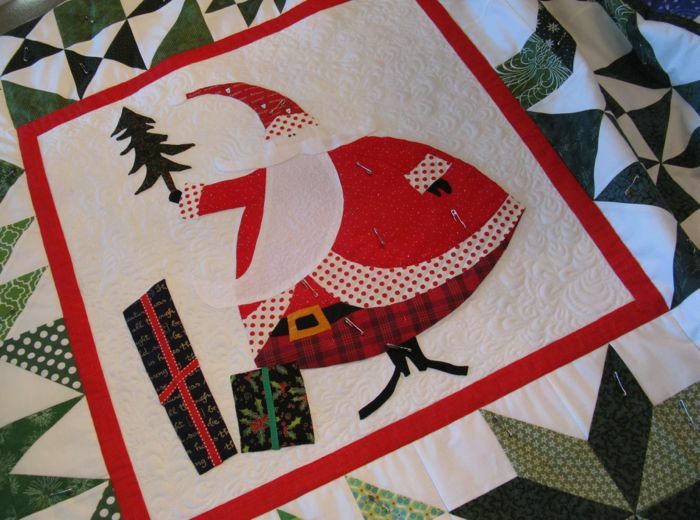 I should be joining the crazies at the Mall, but instead I’m listening to Christmas Carols, working on my Santa–my main work in progress. Besides, the Christmas cards. And getting the tree. And cleaning up the house. 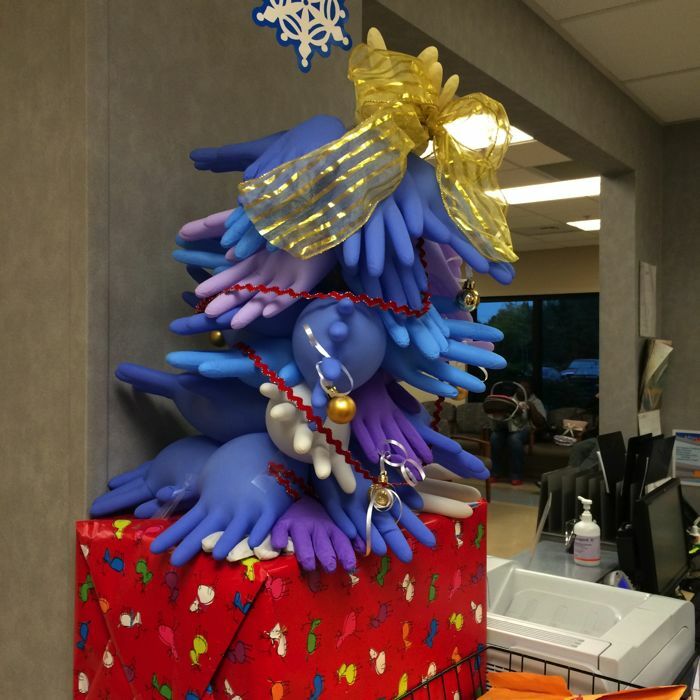 . .
Like I said: Ay-Yi-Yi, It’s Christmas!! 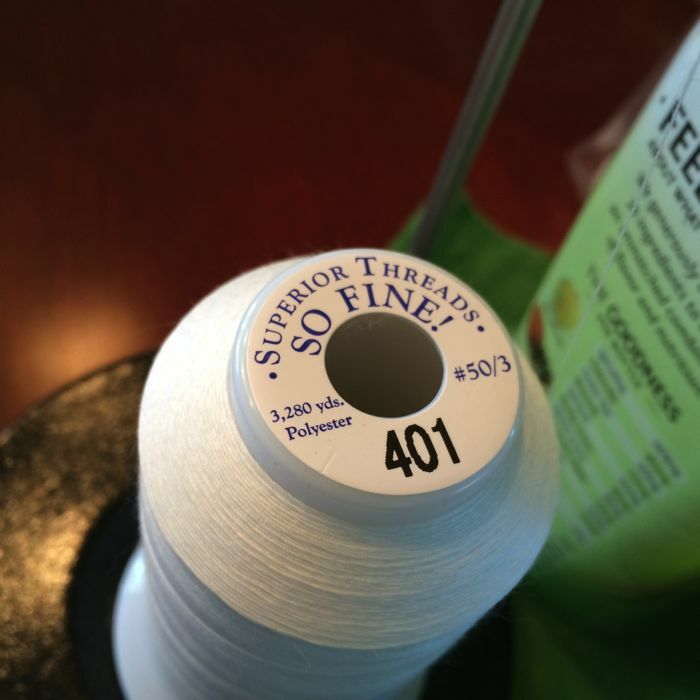 Linking up with Lee of Freshly Pieced Fabrics. 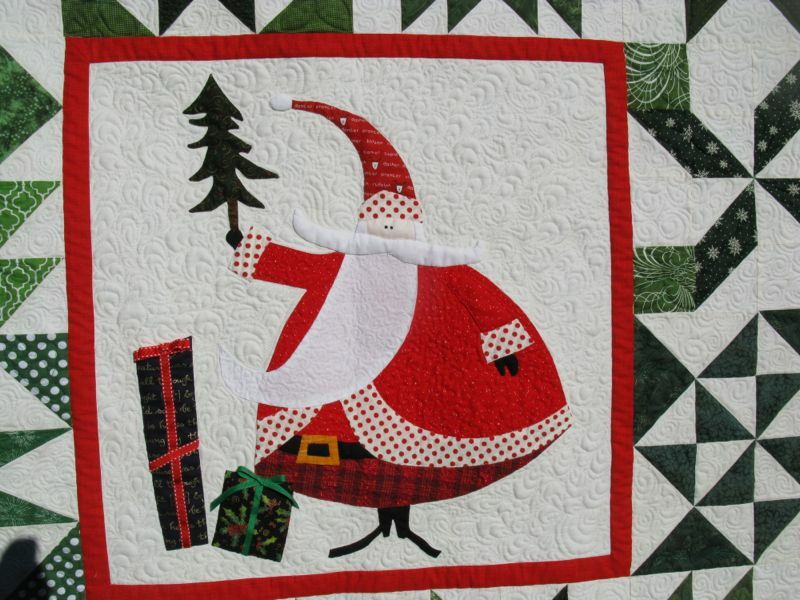 Today it is hosted by Cindy Lammon from Hyacinth Quilt Designs.